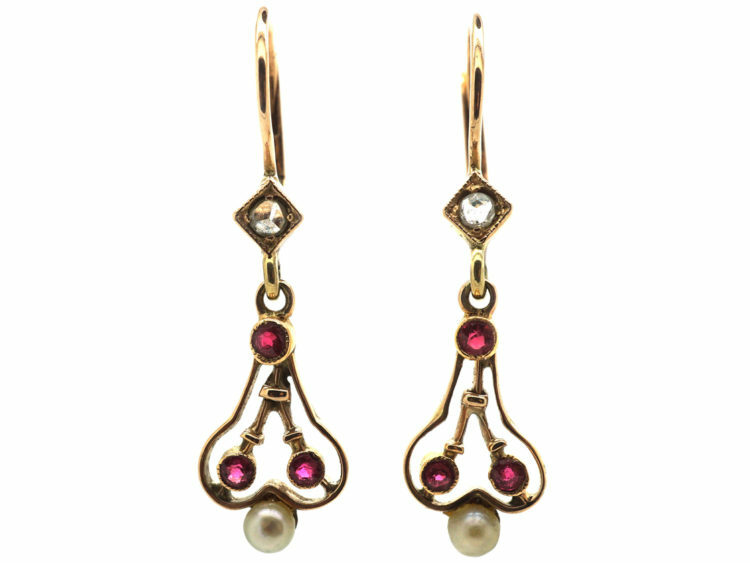 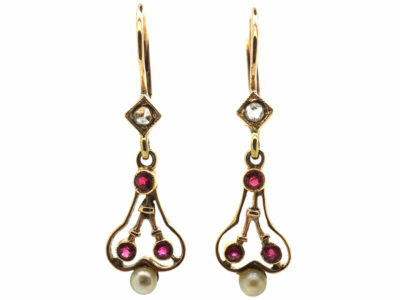 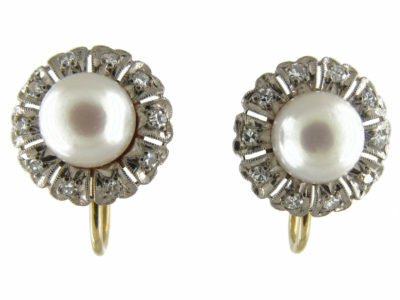 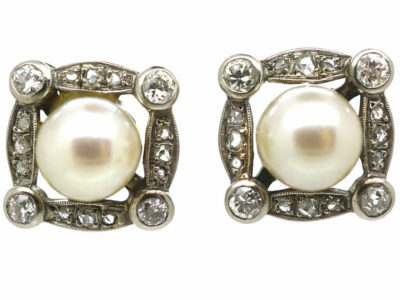 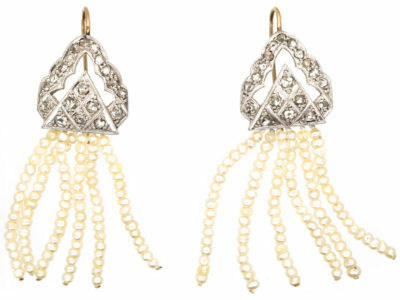 A very pretty and delicate looking small pair of drop earrings that were made in Austria circa 1900-1910. 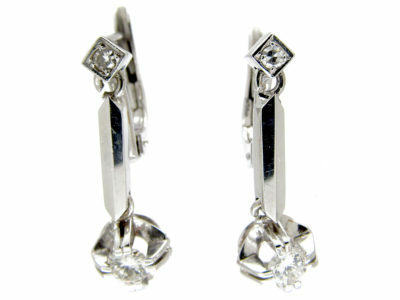 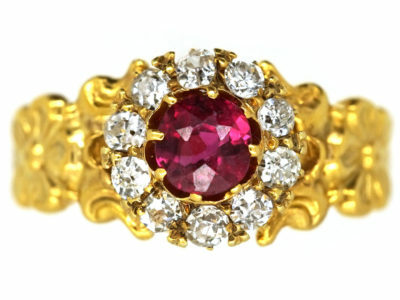 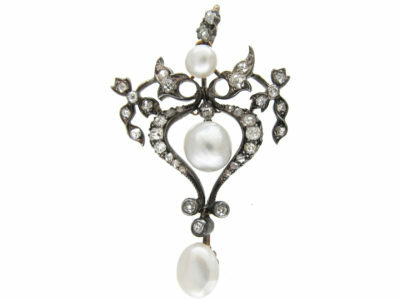 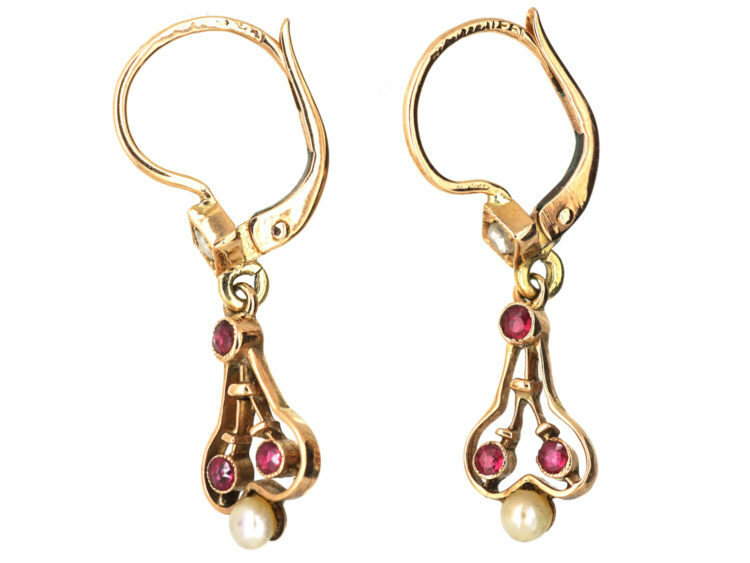 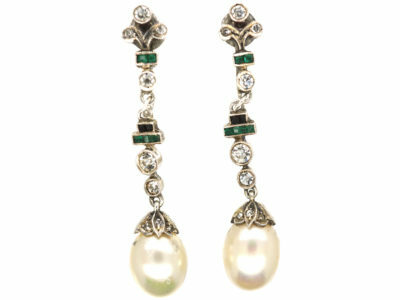 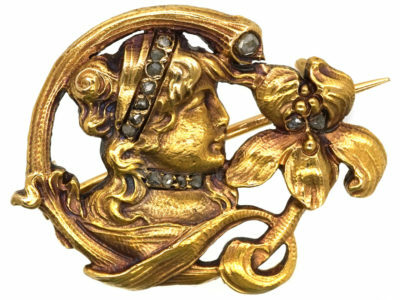 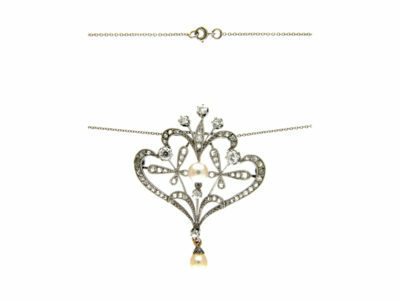 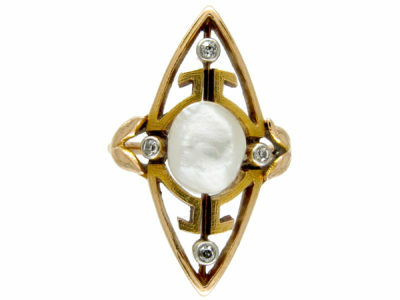 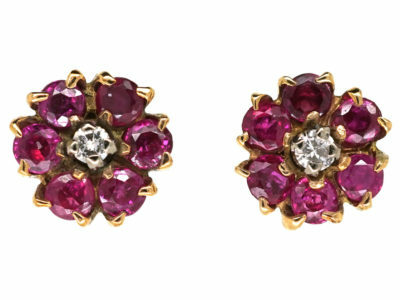 They have each been set with three rubies, a rose diamond at the top and a natural pearl at the base. 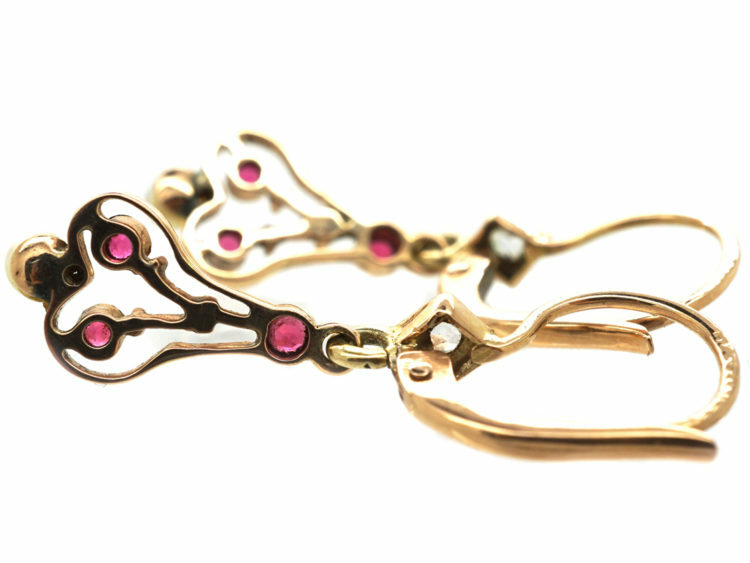 They have secure hinge back fittings. 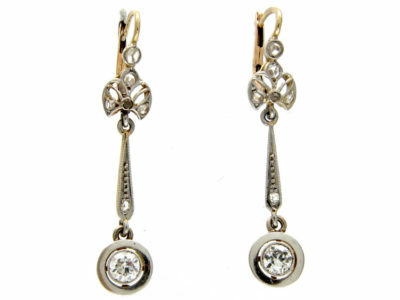 Perfect for every day wear.